Next week gamers looking forward to playing the new Battlefield Hardline game that is currently under development by Visceral Games. Will be pleased to know they will be able to get a taste of the gameplay before the game launches officially later this year. 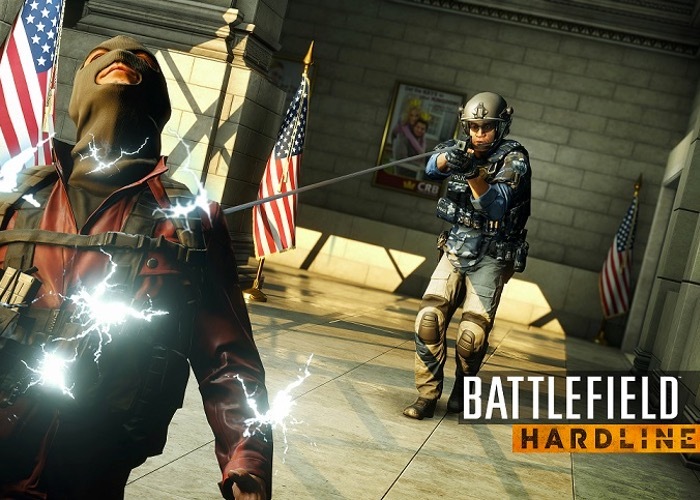 The games publishers EA have this week announced that a Battlefield Hardline open beta testing phase will start next week from February 3rd, that will run until February 8th and allow the new in-game Hacker mode to be tested for the first time. During the Battlefield Hardline open beta testing players worldwide on PC via Origin, PlayStation 4, PlayStation 3, Xbox One, and Xbox 360 consoles will be able to enjoy the fun, before the game officially launches on march 17th 2015. “Battlefield Hardline is a fresh new take on Battlefield, built on strategy, speed and story in single player and multiplayer, delivering a complete first person shooter experience. The open beta will let you try out three different multiplayer maps and modes. First off, Hotwire mode brings high-speed chases to the Battlefield, as the criminals attempt to steal a list of marked cars while the cops try to repossess them. Available on two maps in the beta, Downtown and Dust Bowl, success in Hotwire will require excellent teamwork and precision driving. The desert town of Dust Bowl known for its drug trafficking problems will also be playable on Conquest, the fan favorite Battlefield mode, which takes the battle up to 64 players. Finally, there’s the Bank Job map where you’ll get to try out Heist mode. The criminals are trying to break into a bank vault, but the cops are doing their best to stop them. Which side of the law will you ride with? For more information on the new Battlefield Hardline open beta jump over to the official website for details here.